Step into the (close-toed) shoes of a scientist and explore biology at this community-wide science event! Come to the Innovative Genomics Institute (IGI) on Berkeley campus and experience a range of activities designed for visitors of all ages. Discover the fascinating power of DNA, the instruction manual for life. Walk through a real research lab and learn how scientists engineer DNA to answer questions and solve problems. 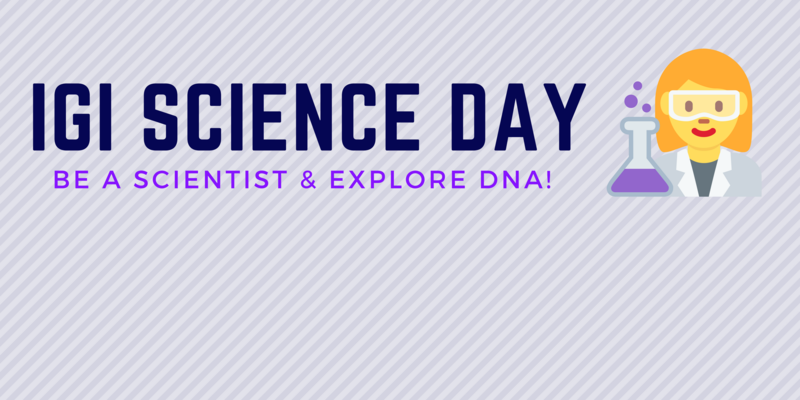 This event will be outdoors (weather permitting) with a variety of hands-on science activities, games, face painting, lab coat photo ops, and more! Lab tours will begin at 12:30 and 1:30 pm. Arrive early to reserve your spot! The IGI is an academic partnership between UC Berkeley and UC San Francisco that supports collaborative research projects across the Bay Area. Our mission is to develop and deploy genome engineering to cure disease, ensure food security, and sustain the environment for current and future generations.